Buffer is one of the social media automation tools that everyone knows about, talks about, and uses. I am definitely an avid user. It is the ONLY tool I've found so far that really lets you Retweet a post within Twitter and with its Chrome Extension. Anything else I've used treats the tweet as an original tweet unless you add "RT @handle" to the comment box. In my opinion, this is BEST FEATURE of Buffer. Paper.li has been one of the greatest tools I've found for finding content. With the free plan, you can subscribe to 10 content sources. These sources can be searches in Paper.li's Genius Source, direct feeds from sites you love, from twitter, really anything you want. I use this for both work and BIG and so far, it's algorithm for finding content is the best I've seen in any app or tool. It's "Genius" source truly is genius. There are so many social media automation tools out there. Each has its own merits, benefits, and pitfalls. As I've managed my company's social media as well as my own. I've learned a ton from a variety of different sources. Abby Lawson's Building A Framework has been super helpful as well as Blog by Number by Suzi at startamomblog.com. They both go through the how, what, when and why of starting a blog including of course some about social media. I'm always reading at least 3 books at a time. I have loved to read since I can remember or more accurately since I learned how. Filling out my reading log in elementary school was the highlight of my week! Yes, I am a dork. I was also sort of an only child. I have 6 brothers and sisters but they are much older than me. The oldest is 25 years older than me. Therefore, I never lived with any of them but got the benefit of having them around. Plus, I was the youngest so I was the baby and a touch pampered. The past several weeks I have not been using my bullet journal really in the way it's intended. I was writing my daily affirmation, my gratitude, and my goal every day, but I wasn't including ANYTHING else. I wasn't writing about work priorities (yes, I have a real job) and things to do with that. 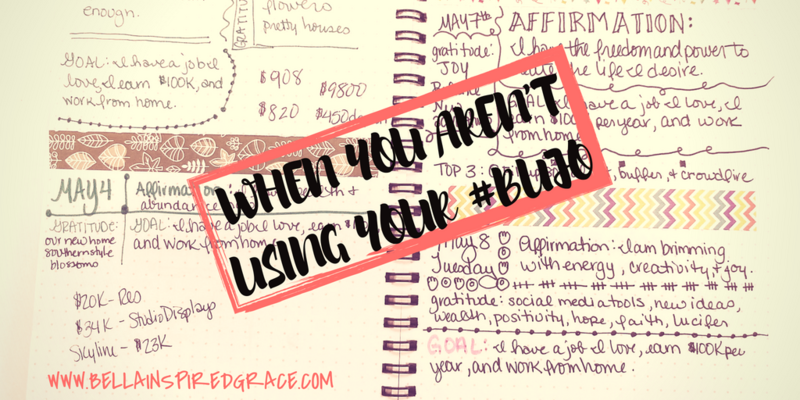 I wasn't even writing potential blog post ideas or creating pretty pages in my bujo. I've been using a great workbook by Suzi at StartAMomBlog.com. 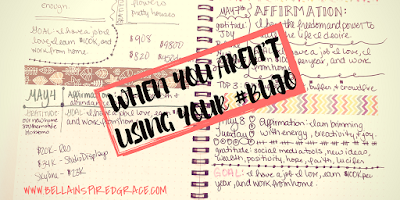 It's full of fantastic ideas, helpful tips, and resources; plus, a place for you to track post ideas, post titles, affiliate links, and so on. It is AWESOME and because it's a Google Sheet, I can access anywhere and don't have to lug anything around. 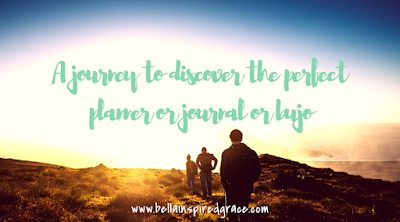 I have loved journals, workbooks, self-discovery and journaling prompts, and notebooks of every kind since I was able to write, draw, or doodle. Remember the floral hard back lined journals? That is what I started with. I would use them to write quotes, keep a diary, and would have never thought to use it as a notebook for school. I'm not sure why - at the time, they were much prettier than the plain spiral bound notebooks I used. I also had Trapper Keepers and every other fad of the time. As I talked about in my Journaling post, I was really drawn to the daily ritual discussed in The Miracle Morning. It sounded equally like a great way to ease into the day as well as a way to get the creative juices flowing and as it touts "feel productive before 8am." I'm a bit of an overachiever; so, anything that makes me feel like I've already accomplished something is a win for me. What constitutes this ritual? Why do habits and routine make us perform better? A habit is defined as "a settled or regular tendency or practice" which means it's something we perform on auto-pilot. It doesn't take extra thought or motivation to complete the action. When we have positive habits and rituals, our body goes through the motions without extra effort and sets us up with a foundation for daily success. Similarly, bad habits do the opposite but are oh so hard to break because they come naturally (eating fast food or smoking are some obvious examples). Good habits allow for us to reach life goals and set the tone for everyday life. With the Miracle Morning, you are training and implementing good habits while helping to visualize your end goal or life goals. The first habit is silence. Just taking a few moments in the morning to give thanks for what you have; to meditate (if you wish to call it that). Simply engaging in the act of not rushing to emails or social media or to your kids gives a fresh perspective on the day. Daily gratitude has been shown to create real and long-lasting effects in one's everyday life. Research done at Berkeley has proven that those that practice gratitude have better immune systems, have more joy, and are more helpful and generous. Those alone seem like great reasons to start practicing silence and gratitude! The next is affirmations. 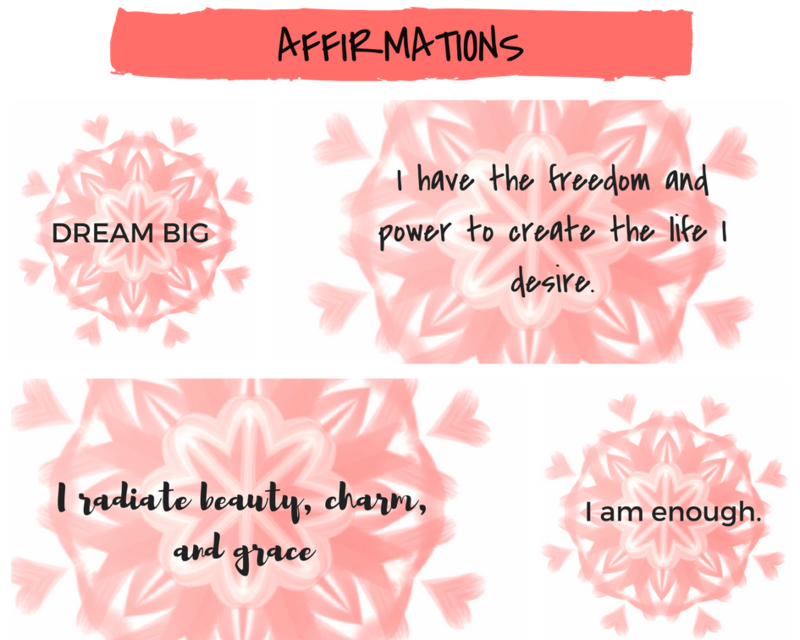 I show my full affirmation board and talk about affirmations in another post. Suffice it to say, I'm 100% on board with doing daily affirmations. They make you feel better and according to some research, they help sculpt the brain and work the positivity muscle. 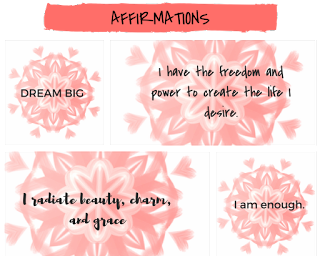 More can be read about affirmations here. Along with affirmations, visualization is another key habit in the Miracle Morning. If you can really see in your mind's eye what you want, you are already half way to getting there. Most people wake up in the morning and go through the motions of everyday life without a thought as to what they want out of life. Beyond thinking of the paycheck they need, that they have to feed their kids, that they somehow have to pay for college, that they need a bigger house, that they need more stuff. Some are little better than zombies on the treadmill hoping they'll somehow run into the life of their dreams when they aren't actually going anywhere. Yes, we all need money to pay for various things, but what do you really want out of life and why? Why do I want a really big 5,000 square foot house? I love to entertain; I love traditional Southern decor and the grandness it demonstrates to me. Those are the selfish reasons. Ultimately, I want to have a house where fundraisers are thrown to generate donations to give back to the community. I love historic preservation; I love children; I want to be able to give back. No, you don't need a big house to give back - you can have a tiny house, not spend as much, and give cash. That's just not me. Plus, I've been living in less than 1500 square foot for a decade and I want room to spread out! Exercise: the habit I love to love and love to hate at the same time. We all know with our desk jobs that we have to exercise daily to prevent our middles from growing as we age. Truthfully, I feel better when I exercise regularly. I used to go to the gym for an hour a day and walk for 2 hours a day, but I also lived in Washington, DC where everything was walkable and all I had to do was walk out the front door of my building. I currently live on 400 acres full of forest without trails and on a relatively busy road. I have to drive to go walk which takes time I don't have with a child and full time job. This is an important habit I know; I'm just hoping with the new house and neighborhood I can get back to my walking habit! I now try to do 20 minutes of exercise with Skimble or Sworkit. Reading, as a habit, is important for a variety of reasons, but most importantly, it helps to develop the mind. It boosts creativity, gives you new ideas, and helps you grow as a person. Reading is my favorite habit and I have read every day of my life for pleasure with the exception of those 2 years of grad school! You couldn't pay me to read for pleasure then! Even 10 minutes can expose you to something you might not have otherwise encountered that day. Scribing or writing every day is something that might seem to take a lot of time, but it doesn't have to. Keeping a one-sentence journal every day is enough to get into the habit of it. Writing down our thoughts and feelings helps to flesh them out, give them clarity, and make us really think about the swirling emotions, feelings, thoughts constantly circulating in our brains. The Artist's Way does an excellent job of going into detail about how writing every day helps to unblock your creativity and open the mind to new possibilities. While the acronym is SAVERS, they certainly don't have to be practiced in any particular order. Although, starting with Silence seems to work best, otherwise, you start going and promptly forget it! I prefer starting with silence, making coffee, writing, doing affirmations/visualization, and the exercising but that's just me. What about you? What rituals and habits do you do daily? I've been reading Circling the Sun: A Novel about Beryl Markham who not only was an aviator but one of the first female horse trainers at the turn of the twentieth century. It's a powerful story of what it is to be free, to be wild, and what it means to be in society. Obviously, life for women has changed greatly over the past 100 years, but there are strides that have been made. 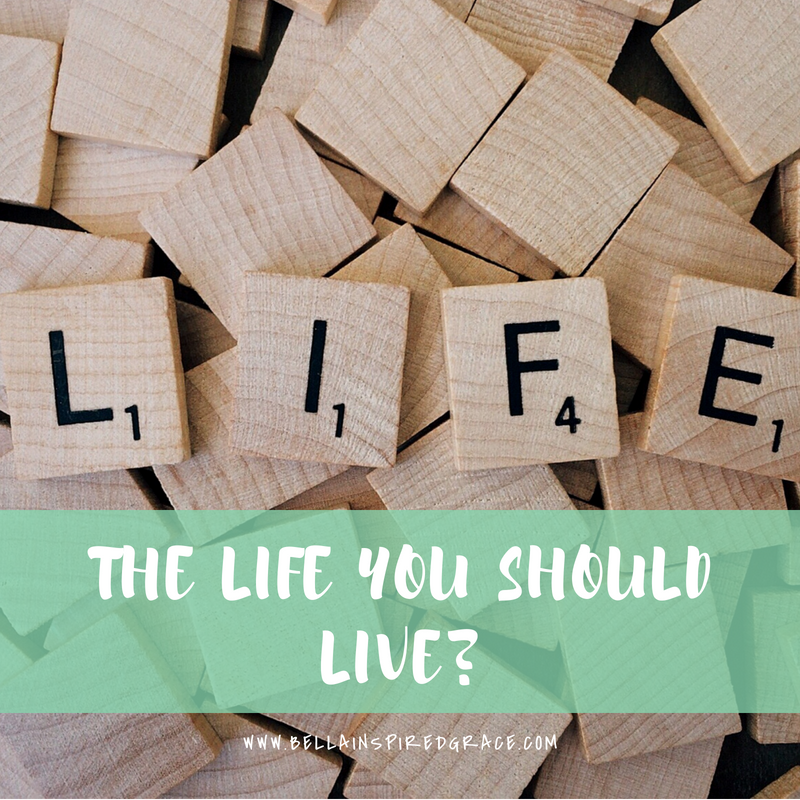 One of the biggest being you don't have to be married in order to have a life. Some old timers might make snide and ugly comments about women that don't marry, but there are choices in providing for oneself. Last night, my husband and I were sitting on our back porch discussing our potential new house, careers, and what we wanted out of life. A pretty deep conversation for a Tuesday night but what can I say this house has created lots of questions for him, for me, for LB, and for our life altogether. We moved to my family's farm out in the middle of nowhere (it's really only 15 miles from downtown Charlotte) almost 2 years ago. The 5-year plan was to live there for free (lucky I know), save money, and then buy a house once LB was ready to go to kindergarten. I showed my affirmation board here, but I truly believe they work wonders. Affirming what you believe about yourself, your environment, and your life is a critical component in developing self-love, eliminating self-doubt, and telling the world what you expect from it. While that sounds a little like hocus pocus, it works for if for no other reason than giving a daily mood boost. I began journaling I think as soon as I could write complete sentences. I always was trying to find a way to getting everything going on in my head out. There was very little method is my scribing. Sometimes, I would write daily, even multiple times a day, and then other times, it would be weeks, if not, months...probably even years if I am honest. Regardless of frequency, I always returned. Things would become too overwhelming. Life would feel too bad. I’d be struggling with something I just couldn’t get over. Writing always seemed to help. It might not have helped immediately, but it just felt good to get some of the mundane madness out of the churn that existed within me. Back in 2008, I was getting ready to graduate from MBA school and started a vision board with Blogger. I was excited and nervous to move back to China. [Side note: I told my mom at 10 that the Forbidden City used to be my house and I wanted to learn Chinese and move to China. I studied abroad in Beijing in 2001.] Due to my previous experience with wanting something so much and it happening, I figured why not outline the rest of what I wanted in life.